As part of the Mission Support team, Clinical Psychologist Dr. Pamela Willis is tapped surreptitiously into the personal email transmissions to and from the crew. 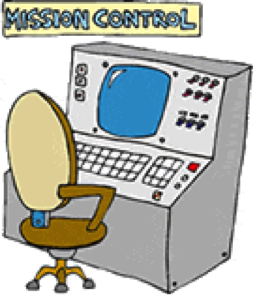 At the first sign of any discord or anxiety, the message in question, along with Dr. Willis’ comments, is forwarded to the head of Mission Support, Commander Lewis. He will in turn, liaise with the onboard psychologist, Dr. Thomas. Each morning Dr. Willis reads through the latest batch of email messages, and either saves them in a special storage system or addresses potential problems. A negative report is a very rare occurrence, as the crew is so well-balanced. The majority of the messages barely rate a first glance. Of course, professionalism always prevents details from being divulged to anyone other than Commander Lewis, and then only if it is deemed hazardous or essential to the mission. Commander Morgan Lewis has been with the Space Program since he graduated the Naval Academy in 1995. Though only approaching his fifty-fifth birthday, he looks much closer to sixty-five, if not seventy. A bottle of scotch, an eight-ounce ‘water’ glass in his desk drawer, and a carton of unfiltered cigarettes in the back seat of his ’07 Impala has that effect on a person. Cmdr. Lewis dresses professionally, but the odor of stale smoke wafts around him, making a first impression many would rather forget. Date: May 11, 2018 11:36 a.m.